The regulator/rectifier unit failed on a trip to Cornwall last year which then lead to the alternator and cdi blowing leaving me stranded down in Essex, I replaced all three items plus a lot of bulbs and a battery and have used the bike all through winter. 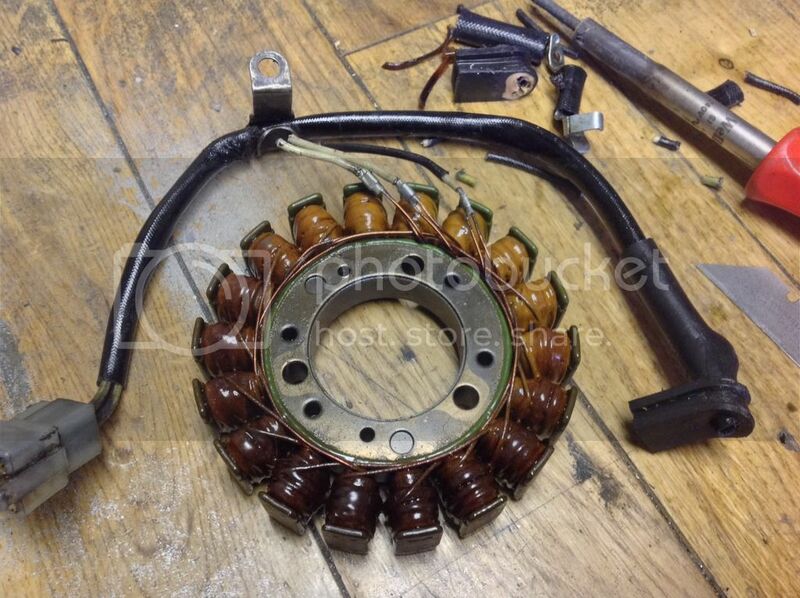 trouble is with heated grips and sat nav, lights etc it has not been keeping a decent charge so I did a bit of research and grafted a more powerful Honda vt250 stator into the casing. I had to use the Kawasaki wiring which goes through the casing though because of the moulded in grommet which seals in the engine oil. Quite pleased with the result just got to fit it now. 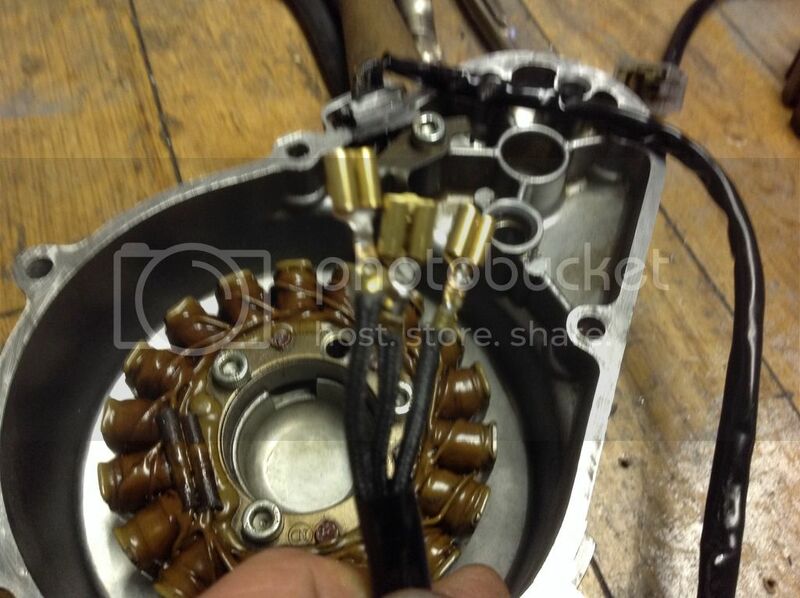 honda stator fitted and Kawasaki wires grafted in, also three new spades soldered on to fit in the junction block connector. Well done. The reg/rec in my '99 R1 was faulty when I bought it, which I upgraded to a MOSFET unit. That's been great, keeps the battery fully charged even after riding in slow traffic. It's amazing what you UK members do ( and probably have to ) to keep you bikes going.